BANGKOK (02 May 2018) - The UN Human Rights Office for South-East Asia is concerned by the restrictions imposed on civil society groups on Labor Day in relation the rights freedom of expression and freedom of assembly. "As party to the International Covenant on Civil and Political Rights, the Royal Thai Government must ensure that these rights are fully respected" said Cynthia Veliko, the Regional Representative of the UN Regional Human Rights Office in Bangkok. 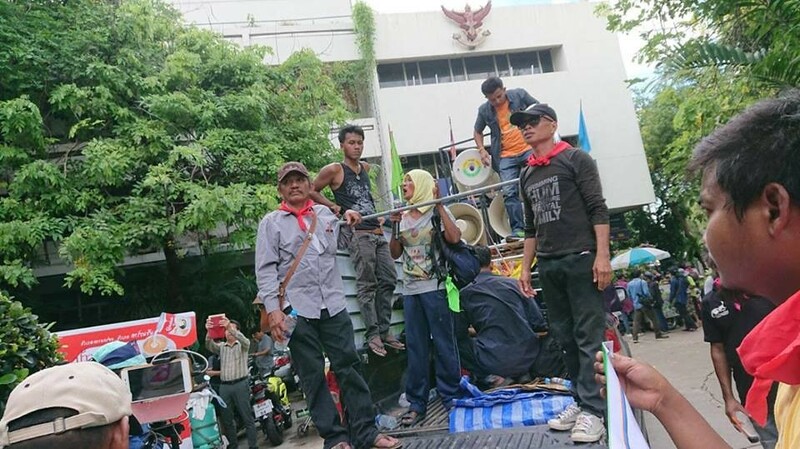 Yesterday, two buses carrying more than a hundred members of the People's Movement for Just Society (P-MOVE) were intercepted by security officers in Chiang Mai and Lamphum Provinces, preventing them to travel to Bangkok to meet government officials. P-MOVE is a network of community-based organizations advocating for land rights. They have been holding meetings with the Prime Minister's Office to discuss land concerns. The same day, banners of the Migrant Rights?€? Workers Federation were confiscated by police officers in Samut Sakhon Province. Four trade union activists affiliated with General Motors Labor Union were arrested by police officers for holding an assembly in front of the US Embassy raising concerns on the dismissal by General Motors of their fellow workers. The Regional Office is concerned that these methods of intimidation will have a chilling effect on organisations and communities who wish to raise similar concerns. "A month after the successful visit of the UN Working Group on Business and Human Rights, it is critical for Thailand to create space for people affected by businesses to express their views and grievances, and seek redress", Ms. Veliko added.